Why Use Stock Investor Leads? Institutional accredited investors are organizations that have access to large amounts of money. They use this to invest in a variety of opportunities, including properties and securities. Regulation D provides an in-depth explanation of which organizations can become institutional accredited investors. While some organizations already take advantage of their accredited investor statuses, others may not even know whether they meet the accredited investor requirements. Whether you plan to buy or sell securities, it’s important to understand how a business can qualify as an institutional accredited investor. These options give organizations and the people running those organizations significant flexibility when they want to purchase securities and other types of investments. Institutional accredited investors offer similar benefits as individual accredited investors do. 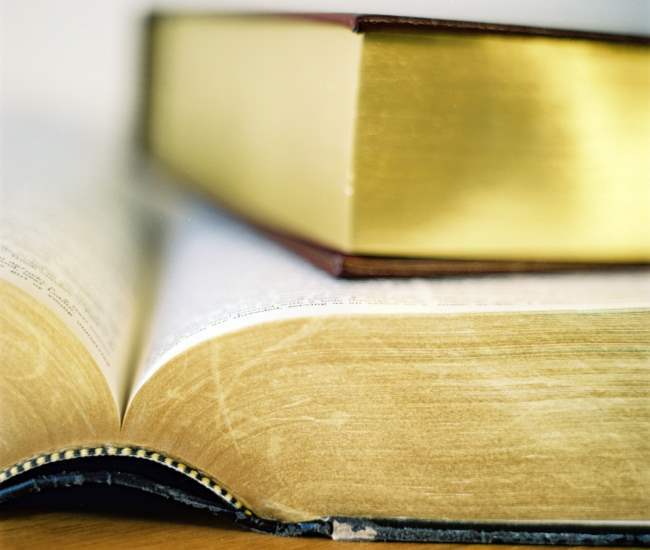 Companies selling securities to these institutions do not have to disclose large amounts of information since the SEC expects them to have considerable experience in investment strategies. By setting a financial minimum ($5 million) for an institution to qualify as an accredited investor, the law encourages investments from organizations that have enough money to absorb any losses. The financial minimum also sets an expectation that those running the group’s investment decisions are sophisticated and experienced enough to make those decisions knowledgably. According to an SEC Investor Bulletin, individuals who are qualified to become accredited investors must have at least $1 million in assets (not including the values of their primary residences) or earn at least $200,000 per year ($300,000 with a spouse). $1 million is a considerable amount of money for an individual to control. CNN Money reports that while the number of millionaires living in the United States has increased over the past several years, they still only account for .33% of the population. Organizations, however, can accumulate more wealth by combining money from several streams. According to the California Policy Center, the California Teacher’s Association had a net worth of $186 million in 2009. That’s over $181 million more than the organization needs to become an institutional accredited investor. Establishing a higher financial minimum for institutional accredited investors could actually benefit companies selling securities. Blocking very small businesses from becoming accredited investors helps companies focus on clients that can contribute significantly more money to research and growth. While a business with less than $5 million in assets may have the savvy to invest wisely, businesses with $5 million or more can invest more significantly. Companies selling securities can, therefore, rely on these investors for more capital. Of course, companies that control over $5 million in assets are also more likely to absorb any losses without going out of business. A company with less than $5 million is more likely to struggle or even go out of business. That would have an adverse effect on the economy, which would defeat the purpose of rules designed to identify accredited investors at both the individual and institutional levels. Institutional accredited investors play a crucial role in the development and growth of businesses that help the economy thrive. By focusing on accredited investors, companies selling securities can make the best use of increased capital while providing a healthy return to investors. Before any business can take advantage of this benefit, though, they have to make sure the institution is accredited. Investing often seems like a complicated industry that can frighten people who don’t have much experience. Before searching for investment opportunities, it’s important to know whether you meet the definition of a qualified investor. If you do, you may have to pay more money for investment services. But you may also get better services that earn you bigger profits. Have a net worth of $1 million or more or a spousal joint net worth of $1 million. The net worth does not include the value of a person’s primary residence. Have an annual income of at least $200,000 or a spousal combined income of at least $300,000. Various organizations and legal entities can also become qualified investors. A trust with at least $5 million in assets. The trust, however, cannot be formed specifically to acquire investment interests. It must also be run by someone who has significant financial and investment experience. Any person or entity that meets at least one of these characteristics is likely a qualified investor. The characteristics that define a qualified investor were first established by the Investment Advisors Act of 1940. The law started as the Public Utility Holding Company Act of 1935, but slowly morphed into a conclusion set of rules and definitions over the next five years as members of Congress debated specific portions of the act. Congress passed the act in 1940. Since then, the regulations have been overseen and enforced by the SEC. Portions of the Investment Advisors Act of 1940 have been altered by the Dodd-Frank Wall Street Reform and Consumer Protection Act of 2010. These reforms, however, largely regulate professionals within the investment and financial advisory industries. They have little effect on the defining characteristics or qualified investors. It’s important to recognize how these acts affect money invested and earned by qualified investors. The most important difference between qualified investors and other investors is how fund managers charge their clients. Registered investment advisors can only charge performance fees to investors who fall within the definition of qualified investors or qualified clients. It’s assumed that people and organizations that have access to significant wealth can afford to pay performance fees while others may not have enough money to afford such a charge. It’s also assumed that fund managers will work harder to increase investment returns for qualified investors. Since the managers want to earn performance fees from their wealthiest clients, they will naturally dedicate more energy into making sure they choose investment opportunities that are likely to flourish. By rewarding fund managers who meet performance goals, investors often see an increase in profits while the managers also get to make more money. While this often means that qualified investors spend more money on investment services, it also means they get healthier returns on their investments. Ideally, it’s a win-win for everyone in the industry. The qualifications for becoming a qualified investor or an accredited investor are almost identical. The biggest difference is that accredited investors get to include their primary residences as assets while qualified investors cannot. When it comes to investing, qualified investors usually have to pay larger fees based on a fund’s performance. Accredited investors only have to pay fund management fees, which are often as low as 2%. Qualified investors, however, have to pay performance fees that can range between 10 and 40%. The industry standard is around 20%. Even though accredited investors do not pay performance fees, they can usually invest in funds that are open to the public. Fund managers will have slightly more interest in finding qualified investors instead of accredited investors, but both are valuable to business. Securing the business of a qualified investor means that the fund manager makes more money. Managers who work with private funds may choose to only accept qualified investors as clients. Acquiring the business of an accredited investor, however, creates the potential for making more money in the future. Accredited investors are often only a few hundred thousand dollars away from becoming qualified investors. Once their investments cross that line, the fund managers can charge performance fees in addition to management fees. The downside of being a qualified investor or qualified client is that you have to pay higher fees. The benefit, however, is that managers often devote more time and energy to making sure their qualified clients make as much money as possible. When the qualified client makes more money, the fund manager gets to earn more from higher performance fees. If you’re looking for qualified or accredited investors for your hedge fund or private equity offering, contact us and we will gladly help you build a list of qualified prospects. If you have launched a crowdfunding campaign, Regulation D Accredited Investors can help to give you the capital you need to meet your goals. The “crowd” is an amazing thing, primarily due to the momentum it gives you going forward with your company. All of the people that participate in your crowdfunding campaign can turn into lifelong customers and fans that help to spread the word about your company organically. Typically, these individuals give money in exchange for a reward, prize, or product that you are creating. Since they don’t get equity, the dollar amounts are typically low, so it is all about quantity. Regulation D Accredited Investors can help to bridge the gap between the money you raise from the crowd and what you need to complete your capital raise. Many investors want to see a level of acceptance from consumers before investing in a company. This gives them a sense of assurance that you will be successful, and that the only thing that may stand in your way is a lack of capital. Angel investors, for example, will often ask how many customers you currently have and what stage your company is in. When you have backers, you have built in customers, which can help to jumpstart the company’s official launch. This is an advantage for raising money and an advantage for ensuring that your company can sustain once you do. Reach Regulation D Accredited Investors by purchasing a leads list from www.accreditedinvestorleads.com. This list can be sorted by demographics and location to help you reach a targeted group of investors in your local area. If your company has a national reach, you can buy a large list of investors throughout the country that may be interested in participating. 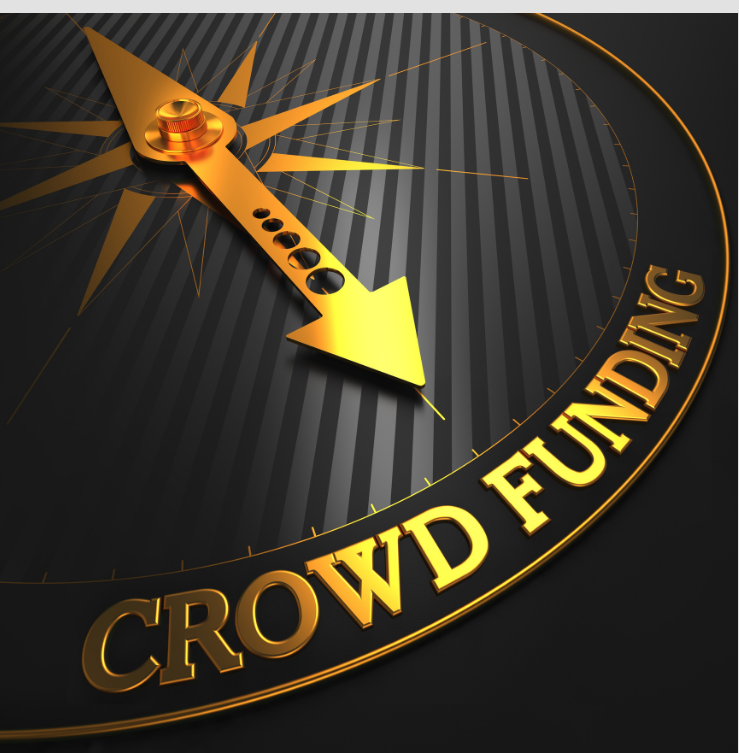 A crowdfunding campaign does not require a private placement since you are not actually giving away equity. Raising money from accredited investors does. Before you start calling you need to have your private placement and executive summary finalized so that you can have a detailed conversation with investors. When creating your financial projections, let them know how much capital you have been able to raise through crowdfunding and how many unique backers or customers that represents. Explain to investors how their investment can help take the company to the next level so that you can accomplish financial success for the company and generate a return for them. Painting a picture is an important step and fortunately, your crowdfunding campaign will have already given you a proof of concept. Remember that Regulation D Accredited Investors are an elite group of sophisticated individuals. They typically are well educated and make significantly more money than the general population. Expect them to ask hard questions and wants specific data. Be prepared to make your best sales pitch and use your crowdfunding campaign to demonstrate the potential of your company. 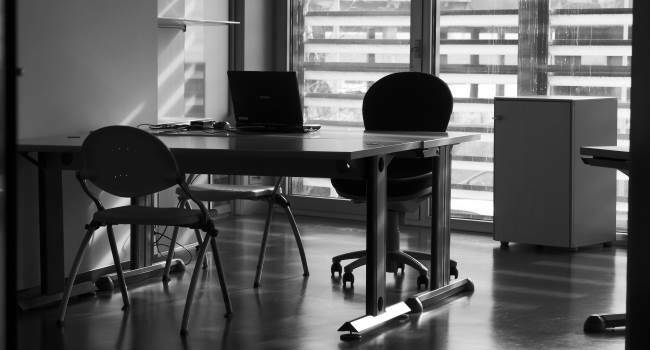 If you need help finding accredited investors, you are not alone. This is an exclusive group of investors, and they are impossible to identify by looking at the size of their home or job title. In order to be considered an accredited investor, you must meet specific SEC criteria that says a person needs to make $200,000 a year as an individual or $300,000 a year with their spouse for the past two years. If an investor doesn’t meet the income criteria they can qualify by having a net worth of $1 million or more, excluding their primary residence. Since there is no way to identify investors based on their job title or where they live, companies and entrepreneurs can spend a lot of time looking for leads. Finding accredited investors can be difficult if you are just starting out or don’t have a large personal network. One way to locate them is through referrals from bankers, CPA’s, and lawyers since they may be privy to information on their client’s financial standing. This, however, takes time and the other party has to be willing to make a referral. In this scenario, someone else has already done the work to find and qualify investors so that you don’t have to. You can purchase a lead list here from AccreditedInvestorLeads.com or Salesleads.tv. This list can be sorted by geography and demographics which furthers your chances of success. For example, if you are raising money for a local company that is addressing local issues, you should start by reaching out to investors in that area. The more relevant your offering is to those you are calling on – the better. You can also have an accredited investor lead list sorted to target people that are interested in a specific industry, for example, oil and gas leads. Once you have obtained your list you can start making calls and reach investors directly. When you reach someone, you have a short window to make an impact and peak their interest. In order to do so, make sure that your sales pitch is solid and that you have facts at hand that can back up your claims. These investors are typically educated and sophisticated so expect some hard questions. It may help to have some information sheets in front of you so that you can easily access facts and reference where they came from. Keep in mind that not every investor will be interested or have the liquid capital available to invest. When this is the case, make sure to ask for a referral to other investors they think may be interested. Finding accredited investors is easy when you start with a list and use that list to grow your personal network. You may be surprised how many people are willing to make that next referral. An SEC Accredited Investor is part of an elite group of individuals that can invest in pretty much anything. They are considered to be sophisticated in nature and able to withstand the loss, should their investment not work out. The SEC rewards this group with the ability to invest in private offerings that the general public cannot. For example, an accredited investor is the only type of investor that is allowed to invest in Reg D Rule 506c offerings. The definition of what makes an SEC Accredited Investor has stayed the same for decades with one exception. Previously, an investors primary residence could be included in the net worth calculation. Now, it is only taken into consideration if an investor owes more than their property is worth. In this case, the negative equity is actually deducted from the total net worth calculation. In order for an investor to be considered accredited, they must make at least $200,000 as an individual or $300,000 jointly with a spouse and have done so for the past two years. They must also anticipate their income to remain at that level for the current year. The investor may also be considered accredited if their net worth is over $1 million. With the recent passage of the JOBS Act, creation of Reg D Rule 506, and pending SEC crowdfunding rules, the SEC is considering making changes to these requirements. Since they have not been changed significantly for over 30 years, the purchasing or investing power of an accredited investor meeting the minimum income requirements has been diminished. In other words, the requirements have not kept up with inflation. In the 1980’s $200,000 a year was considered well off. In 2014, many families need to earn this much in order to sustain in a major metropolitan area like Los Angeles or New York. The cost of living has gone up significantly, and the SEC is concerned that by following the existing definition many people are investing that cannot withstand the risk – the primary intent of creating a specific group of investors to begin with. By using the current income and net worth criteria, there are over 8.5 million people that are considered an SEC Accredited Investor within the U.S. If it were to change for inflation this number could drop as low as 3.75 million. This would be a drastic reduction that could stem the flow of capital into companies using private offerings to raise capital. 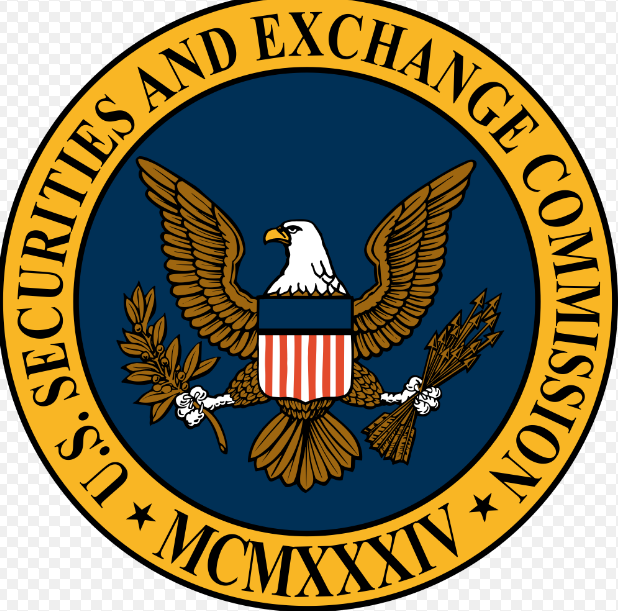 Companies, broker-dealers, and crowdfunding platforms are all concerned about the SEC taking this form of action. The JOBS Act was passed in order to increase access to capital, not to restrict it. Changing the standards now would have the opposite effect. Companies that are looking to raise capital using a private offering should launch their campaign rather than wait. The SEC is notorious for moving slow, unless they don’t want to. Rather than waiting to see if the definition of an SEC Accredited Investor changes, raise money now while the investor pool is large. You can purchase your leads list at www.accreditedinvestorleads.com. If You’re Trying to Find Accredited Investors, Here’s the Easy Way to Do it. Many people spend years building up their referral network in order to create a stable of potential investors. This is an option and one that should be included in your long-term strategy. It should include local influences and people like bankers, lawyers, and CPAs. While effective, this does take time and is not ideal for people that need to raise money quickly. When trying to find accredited investors, start by ordering a lead list from www.salesleads.tv or www.accreditedinvestorleads.com. By purchasing a lead list, you will cut down on the amount of time you spend searching for qualified prospects and increase the amount of time you spend speaking with prospects. This is a highly specialized list and one that could take you years to formulate on your own. It is also important to note that just because someone was accredited at one point in time, does not mean they are accredited now. The SEC changed the definition of accredited investor to remove the value of a person’s primary residence from the net worth equation. When this happened, many investors became disqualified. As a result, old lists may no longer be accurate, especially in areas of the country where people were “house rich”. When ordering your lead list, you can specify additional criteria that go beyond them simply being accredited. This includes geographic location, an important factor when trying to reach local investors. You can also specify gender and other criteria that you feel may be important to the overall deal. The more you can breakdown the type of investor that may be interested in your offering, the better your chances are of making a successful sales pitch. Prior to calling accredited investors, make sure to have your pitch down. These are not novice investors or people that have recently come into money. These are people that earn a good living and have a higher than average net worth. They are by definition sophisticated and are likely to ask detailed, probing, and intelligent questions. Calling these investors without doing your homework is unwise. You should know everything there is to know about your industry, market conditions, and the deal itself. If they ask something, you need to provide an intelligent answer that is backed up with facts if you want to close the deal. In addition to ordering a custom lead list, you can find accredited investors by asking for referrals. When you have a lead on the phone or are meeting in person, ask if they know of anyone else that may be interested in investing in your offering. Since they have already taken the time to speak with you, they clearly see some level of value in what you are presenting. Asking for a referral is a natural next step that can lead you to additional investors and help you to raise more capital. In the wake of the Malaysian plane crash over the Ukraine, many are wondering how this terrible tragedy will shape our world. The extreme loss of life is stunning and simply unbelievable. In total, 298 people are dead after the commercial aircraft was shot down with an antiaircraft missile. The damage was staggering as the plane exploded, crashed and burned. The world is waiting for details to emerge regarding who actually fired the missile and how they secured it. The crash took place in the area of Ukraine that is controlled by Pro-Russia separatists but so far everyone is denying responsibility for the crash. Ukraine is pointing to the separatists and calling it an act of terror. A world away, the plane crash has additional implications. Accredited investors are always leery when a worldwide catastrophe happens due to its ability to impact the overall financial markets, which slid after news of the crash. Many investors prefer to keep a portion of their portfolio in private companies that are not directly impacted by the rise and fall of the stock market. With any terrible tragedy there is also an opportunity for renewed innovation that can prevent it from happening again, something accredited investors can help to make happen. The notion that terrorists could obtain an antiaircraft missile and shoot a commercial airliner out of the sky has the ability to completely transform air travel. The TSA that has been taking away water bottles and toothpaste for years may soon become obsolete given the ability of terrorists to harm a plane without ever setting foot on it. Accredited investors should look for opportunities to invest in technology that can keep commercial aircraft safer. Innovation often comes from private companies stepping up in response to the tragedy, need, or demand. One such as this, will clearly lead to a marketplace demanding to be safe. Additionally, it is safe to speculate that money will need to be direct towards defense. We have been steadily disarming but as terrorist become more sophisticated, the U.S. will be forced to respond by finding new ways to protect its citizenry. While these projects are likely to very large in scale, they often start small with a local company of inventors, scientist, and innovators. Companies that are in this marketplace now should analyze their current portfolio to see if there is a way to apply their existing technology towards the airline or defense industry. If so, now would be an excellent time to create a private placement and start raising money for further exploration. By using Regulation D Rule 506c, you can raise an unlimited amount of capital from accredited investors without needing to register with the SEC. You can also advertise the offering to the general public so long as you only accept funds from accredited investors. This provides a way to quickly put an offering together and starts raising money before the marketplace becomes saturated with companies looking to improve airline safety. Companies that want to raise money can get a boost with accredited investor leads. You can purchase a leads list from www.AccreditedInvestorLeads.com and start speaking with investors right away. In the meantime, the world will wait for more information on what really happened over the Ukraine. In order to stay in compliance with the SEC, most Reg D private offerings require the company to work with accredited investors that complete an accredited investor questionnaire. The SEC defines an accredited investor as someone who has made $200,000 as an individual and is likely to continue to do so or a couple that has made $300,000 combined. Investors can also qualify by having a net worth greater than $1 million, excluding their primary residence. As a compliance best practice, companies should require each investor to complete an accredited investor questionnaire prior to transferring any shares or finalizing the investment. This document should be kept on file in case the SEC ever launches an investigation. There are two types of certification or questionnaires: self-certification and third party certification. Investors participating in Reg D Rule 504, Rule 505, or Rule 506b can self-certify or complete a company provided form. Investors in offerings using Reg D Rule 506c need to have their status certified by a third party like an attorney, CPA, or a company representative that has reviewed their financial documents. Statement of confidentiality. Investors need to feel confident that you will not share their private financial information with anyone outside of company officers, or the SEC if required to do so. Statement as to why the form is needed. Disclose your offering type and any requirements placed on the company by the SEC that pertain to the specific document. Why the investor is accredited. Many companies elect to use system where all of the exemptions are listed out, and the investor simply checks the applicable box. Type of investor. There needs to be an area for the investor to identify if they are an entity, individual, or investing with their spouse. How the investments will be held. For example, individually, jointly with their spouse, or as tenants in common. Statement of accuracy. The investor must make a statement that the information they provided is true and accurate to the best of their knowledge. Signatures. Each investor needs to sign the certification. If the investment is coming from an entity, it must be signed by an officer or employee with the ability to bind the company and must also contain a line for their title to be written. If the investment is coming from a married couple, both people must sign the form. When creating the accredited investor questionnaire create a separate document or additional for the verification process for offerings under Rule 506c. Each financial item that an investor attests to needs to be verified unless they provide third party certification, which you can keep on file in its place. Once you have purchased private placement leads it is important to maximize them and to start closing deals. Reaching accredited investors is an important step in promoting your private offering. More money is raised through private offerings than on the stock market every year. Your company can benefit from this, as long as you are able to reach investors and inform them of what you have to offer. The first step is to make sure that you are buying a qualified lead list. 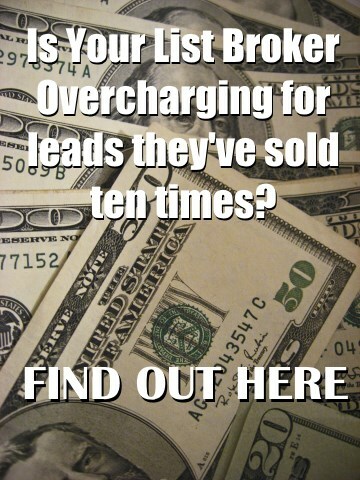 Working with a reputable lead broker, like www.accreditedinvestorleads.com is important. Your private placement leads can be narrowed down by geographic area and demographic data to ensure that you are targeting people that are the most likely to want to invest in your particular offering. With a lead list in hand, create a strategy for how you will close the deal. Reaching prospects is not enough. You must take them through the process, capture their interest, and walk them through closing. This is a key that many salespeople and business owners miss – you have to close the deal. Create a value proposition. What value are you offering to the investor? They can put money into a million different deals so what benefit do they receive from working with you? Be as specific as possible and use compelling language. Make it special. People are motivated to act more quickly if they feel they are getting something special or unique for their involvement. Consider how you can reward someone for getting in on the ground floor or investing early. Speak with your securities attorney about the best way to structure this. Gather market data. Your sales strategy should include sending an investor information on how amazing the market is for your particular offering. This can be articles that were recently published in the newspaper, industries studies, professional opinions and more. Provide them with data that backs up your claims so that they can feel comfortable about investing. Listen. When you get an investor on the phone, ask questions and listen for queues. It is important that you hear the emotion behind the words that they are saying. This is key for being able to sell the benefits of your investment in terms that will directly impact them. Follow up. Whatever you do, don’t forget to follow up. When someone is interested enough to listen to what you have to say and request more information, make sure you follow up in a timely fashion so that you can close the deal. This part of the process cannot be postponed; otherwise they may lose interest. When working your private placement leads, know where every prospect is in the process. You should be able to look up a name and read notes about what you have discussed, what they have been sent, what they have been offered and any additional information. Read your notes before making your follow up calls so that you can be as personable as possible. Stay focused, and you will increase your success. When raising money through a private offering, an investor lead list can give you the tools you need in order to pitch your investment opportunity and successfully raise capital. Without a list of investors or an existing database, it will be difficult to promote your offering. We can help you to reach accredited investors and deliver a quality list that you can use both now and in the future. Once you have obtained an investor lead list from www.accreditedinvestorleads.com it is time to market to those investors. Creating an overall marketing strategy is essential for ensuring that prospective investors learn about your opportunity and get excited enough to engage with you. Here are our suggestions for running an effective marketing campaign. Create your pitch deck. This should include all of the key points about your opportunity. Use your private placement as a starting point and pull out key data, facts, information, talking points and industry jargon. Create a short, yet effective pitch deck that you can use as a reference tool going forward. Build your website. Unless you are issuing an offering under Reg D 506c you are not allowed to advertise your offering. You can, however, create a website or landing page for your specific company that provides information on the industry. You can direct people from your investor lead list to the site for more information. By showing them information on the booming nature of your industry, they will likely become more inclined to learn about what you are specifically trying to do. Include a call to action buttons so they can request more information. Make sales calls. Contact your investor lead list and start to cultivate relationships over the phone. This is an easy way to start approaching people and open up a dialogue. Remember, every call you make should be about the investor and how participating in your opportunity will benefit them. Whether discussing their retirement goals, dreams of the future, or desire to grow their portfolio. Take the time to understand who they are and what makes them tick. This will help you to be a better sales person in the long run. Use a tracking software to document whom you have spoken to, where they are in the process, and what you need to do to close the deal. Send out letters. Mail a letter out to everyone on your investor lead list. A letter isn’t intimidating and gives people the opportunity to research the industry and your company. Include key points, using bold font to make them stand out. This can be about industry growth, market trends, or anything else you think will be exciting and useful. Follow up with a phone call a couple of days later. Your name will still be fresh in their mind, and you can ask if they received your letter. Ask for referrals. Whether an investor pulls the trigger or not, ask if they know anyone that would be interested in learning more about your opportunity. You can grow your investor lead list and secure more capital by simply asking for it. Create your plan, buy your investor lead list, and start calling today. Follow a set strategy and experience success.